In the pipeline is another Perseus Booster – X4-06. 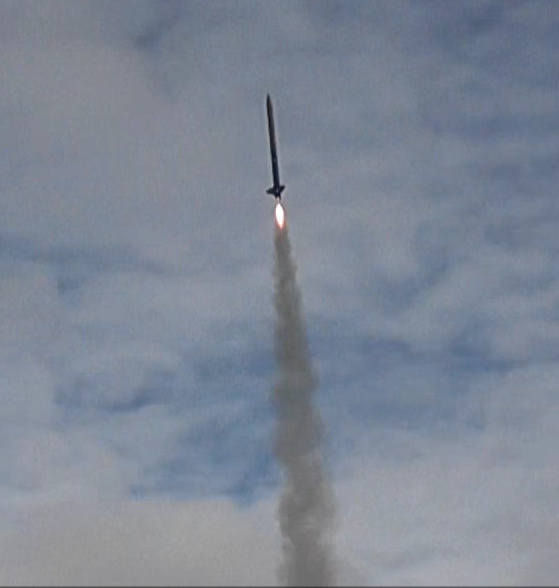 This booster is to be called “Vega”. Scheduled to be in operation by late May, Vega will join Gallifrey as the primary launch vehicles for all high performance experiments involving Perseus boosters. Eagle and Columbia will remain in service in a different capacity. Both will fly regular support missions testing new electronics for future missions. In addition to these tests, Eagle and Columbia will also provide long term data on my rocket building techniques. Each of my rockets are designed for at least 100 flights. None have flown that many to date. Eagle and Columbia will be the pioneers here, and the plan is for both to fly another 20 missions by the end of 2011. Eagle and Columbia were designed with Estes black powder single use motors in mind as their “power plants”. Since their introduction, I have been routinely flying re-loadable composite motors – which offer more power at a cheaper price than black powder. This extra power has revealed some construction deficiencies in the early Perseus and Aurora rocket builds…namely tiny errors in fin placements which caused the rockets to “spin” during flight. Gallifrey is built with the newest production techniques proven by Aurora boosters “Firefly”, and “Big Red II” which virtually eliminate this spin. This improvement is hoped to bring the Perseus booster fully to its potential as the highest performance / highest speed booster rocket design in my fleet. 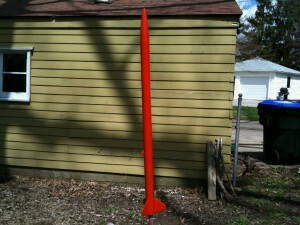 Gallifrey will be the rocket to put this to the test at the end of the month with a maiden launch in Amherst, OH. One of the lunches planned is to attempt officially break the 2000 foot ceiling. Eagle came close last January (2011) by reaching the 1800 foot mark on an F-24 white lightning motor.